The subject of gender has dominated the zeitgeist over the past few years, in large part due to the spectrum of opinions it reveals. Men, women, cisgender, transgender, nonbinary, gender nonconforming, agender, two-spirit — our vocabulary is growing and the rules are changing. This change has led to fervent debate in various parts of society, but it’s especially interesting to see how the beauty industry is reacting. Different voices and stories are coming to the fore, creating a cultural shift toward gender inclusivity. And the consumer marketplace is reacting: in its 2018 Global Trends report, Mintel predicts that “brands will embrace inclusivity by looking beyond age, gender, sexuality, and body type.” The beauty sector seems to have its finger on the pulse and is proving keen to court these new, emerging audiences. More and more brands are offering gender fluid persons a seat at the table, but are they really listening to what the members of these diverse communities have to say? The beauty market is recognizing the opportunity in appealing to the LGBTQIAA community. After all, this group of people has a purchasing power of around a trillion dollars in the US alone (Forbes, 2018). And while brands vocalize support through visibility in marketing, and attempt to define their purpose as they align their values with those of this new audience, is it really authentic? Is there a risk that people might take offense and find themselves feeling as if they’re seeing the mechanics of queer-baiting and tokenism at work? More and more brands are offering gender fluid persons a seat at the table, but are they really listening to what the members of these diverse communities have to say? The response was met with polarizing reactions. Some praised her response as a clarification on true inclusivity, others relegated it to smart marketing. One makeup artist responded, “Rihanna’s point is true where you don’t know who is trans, that’s a very personal question. But what I think that commenter is trying to say is that [Rihanna’s] not making it clear that this is for everyone” (The Cut, 2017). Gender-nonconforming individuals are now facing the same quandary faced by gay, lesbian and all people of color when it comes to visibility. Is an inclusive ad campaign enough? And how are some companies moving away from visibility and heading for authentic inclusivity? One way that brands are thinking about this question of “inclusivity” is by marketing “gender-neutral” products — products created without a specific gender target in mind. Rather than the heavily gendered stereotypes of pink packaging for her, and “For Men” written in bold blues and grays for the guys, the genderless brands are presenting themselves in more unique ways. An interesting starting point is in biology. Do men, women and queer people really have different beauty and makeup needs when it comes to the formulation of the products? Dr. Anjali Mahto, consultant dermatologist at Harley Street’s Skin55, says that while male and female skin do develop biological differences at puberty, gender-specific skincare and cosmetics are not the answer (The Independent, 2018). While Mahto noted distinct differences in male and female skin types (men have 20% thicker skin and more hair follicles), she revealed that the best way to approach skincare is not by gender, but rather on individual skin type. “I always recommend a skincare plan tailored to each individual based on their needs and the best ingredients or treatments for a particular issue.” This insight into the unique construct of all skin types, regardless of gender, has permitted brands to design and formulate products that serve the entire spectrum. Panacea is one company employing a gender-neutral strategy. This K-Beauty – inspired skincare brand was launched late last year by Korean American co-founder and CEO, Terry Lee. In a discussion around the trend of blurring gender lines, Lee says, “Our goal is to understand this shift and how it impacts culture on an intimate level. It’s a balance between understanding and embracing where culture is headed while maintaining brand integrity and being consistent in the values we stand for” (Fashionista, 2018). When launching Panacea, Lee aimed to break down the stigma that beauty is confined to a specific group of people. This is most visible in the visual identity of the brand, which is both accessible and approachable, with warm photography, an inviting neutral palette of soft tints, and minimal design elements on the packaging. Another approach to marketing products with inclusivity in mind is to be more direct in speaking to a wider audience of various gender identities and expressions. Fluide is a brand that speaks to gender in a very different way. Its mission statement reads: “Fluide is where we meet our irreverent, otherworldly selves, an irresistible future where radical inventiveness & queer kinship thrive. To us, beauty is malleable, political, powerful, play. We are they. We are them. We are you. 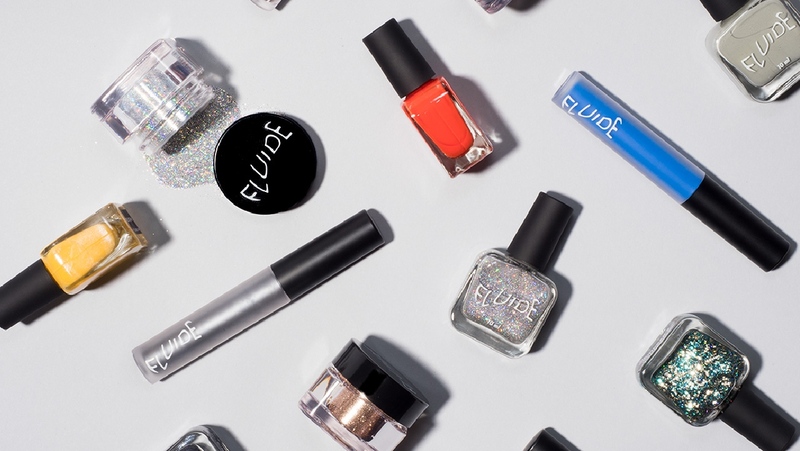 We are Fluide.” This purpose and sentiment is mirrored in the brand’s visual exterior — using bold colors, dynamic shades of makeup, vibrant contrasts and an outward confidence that jumps off the page. Co-founder and Creative Director Isabella Giancarlo described: “It was important to showcase and celebrate the self-expression of people of all gender expressions and identities — and continue to work to represent an inclusive and expansive definition of beauty” (Teen Vogue, 2018). We’re seeing that fresh perspectives are being brought to the table, and Fluide is empowering individuals to not only take a seat, but to have a voice and discuss beauty, identity and selfhood. New marketing tactics and an expanding cast of distinctly different newcomers are now pushing the industry to be more inclusive by nature, but there are broader conversations happening too — ones that go far beyond representation and advertising alone. Beauty, makeup and skincare have always held a certain power in allowing women to represent themselves in unique and personal ways. For trans, nonbinary, and gender-nonconforming individuals, the industry is confronting a complex challenge. Beauty can be a rite of passage — a confirmation of identity, but beyond that, and perhaps most importantly, beauty and makeup can be about safety and protection. Some trans persons’ stories are deeply intimate and personal — and for some, their relationship with makeup aligns closely with their conception of self. One woman, Aaryn Lang, described the power, energy and confidence makeup gave her as a trans woman. Lang says, “Makeup is war paint — that’s how I think about it now. It paints a very pretty picture, but it also gives the wearer energy and confidence” (Refinery29, 2016). When applying eyeliner during her morning beauty ritual, Riley Silverman, who also identifies as trans, similarly describes her makeup as war paint — armor against the outside world (Racked, 2017). Both Lang and Silverman use makeup as a way to affirm their identities, and live as themselves. But the potential power of beauty also has an impact on how both women are perceived in society, and whether other individuals respect their identities. "Makeup is war paint — that’s how I think about it now. It paints a very pretty picture, but it also gives the wearer energy and confidence"
Transfeminine and nonbinary visibility in the mainstream is also on the rise. From bathroom bills and military bans, to groundbreaking television shows, such as Amazon’s Transparent, and POSE on FX — we’re seeing an increased awareness, as well as an overdue uptick in positive representation. But has this visibility permeated into authentic inclusivity? According to a GLAAD report, 2018 is already on track to become the deadliest year for transgender people in the US. Trans women of color are still at the highest risk of being victims of violence and discrimination. Between 2013 and 2017, over 75% of transgender people killed were black or African American (Fast Company, 2017). If brands are seeking loyalty and want to speak authentically to marginalized audiences like trans women, offering support beyond marketing campaigns is a strong step forward. Some brands, for example Fluide and JECCA, help the cause by donating to organizations that support the trans community. Fluide gives a percentage of its proceeds to LGBTQ organizations such as Callen-Lorde, a global leader in LGBTQ healthcare, and The Sylvia Rivera Law Project, which works to improve access to social, health and legal services for low-income people and people of color who are transgender, intersex, or gender nonconforming (Bustle, 2018). JECCA donates to Stonewall, a UK–based charity for LGBT rights. Others have taken it upon themselves to create innovative programs that speak to the trans experience in new ways. In June 2018, Sephora launched Classes for Confidence, a free initiative that offers in-person, 90-minute makeup and skincare tutorials, hosted in over 150 stores. 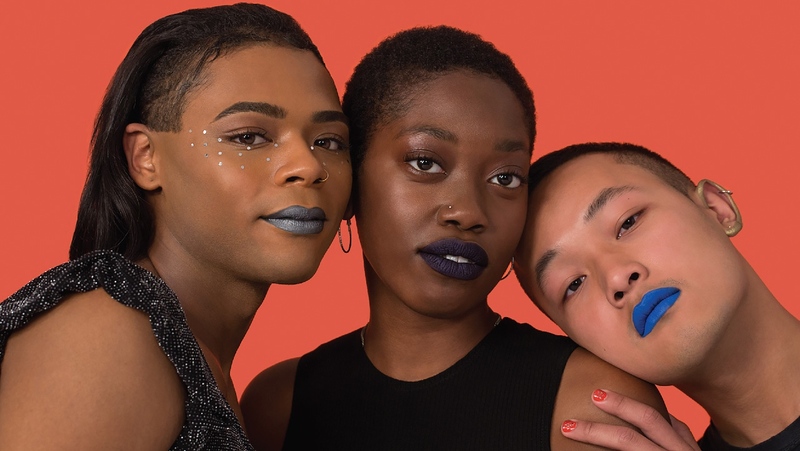 One class, “Bold Beauty for the Transgender Community,” was developed and often led by transgender or nonbinary employees, and focused on skincare and makeup tips specifically designed for gender-fluid and trans customers. Dominique Anderson, a color consultant says, “I want to instill confidence in my clients so that when they walk out of Sephora, they feel comfortable letting the world know who they are” (Mic, 2018). The Classes for Confidence was a huge success, reaching over 8,500 people in over 850 classes nationwide. On top of that, 83% of participants reported increased confidence after attending. Milk Makeup is another brand that’s doing more than just providing the tools for self-expression. Being no stranger to pushing boundaries when it comes to gender, its 2017 #BlurTheLines campaign celebrated gender fluidity by featuring seven very different spokespeople from all across the gender spectrum, united by their ability to blur the lines of what gender means by using beauty and makeup (Glamour, 2017). Milk took another step in the right direction in June of this year by launching a “Pride” collection, in what co-founder Georgie Greville describes as a “beautiful celebration of the power of self-actualization.” The brand donated 50% of all its proceeds from the collection to The Center, an organization that provides health and wellness programs for the LGBTQ community in NYC (Bustle, 2018). Right now, the stakes are higher than just profits in the beauty industry. It is certainly a complex, sensitive and personal issue that transcends marketing, particularly for audiences that have been so often marginalized. Brands are taking new, more inclusive approaches and they’re beginning to see positive returns on their efforts. Companies are becoming more personable and honest, defining their positioning and showcasing their purpose to align with their consumers’ own values in the greater world. Whether it be from charitable initiatives or broader social programs, the beauty industry is starting to take strides toward speaking to all gender expressions and identities. The spectrum has always existed, and the industry is finally starting to see the beauty.